Santa Monica is a beautiful seaside city, with miles of beach, exciting outdoor activities, family attractions and cultural experiences for all ages. 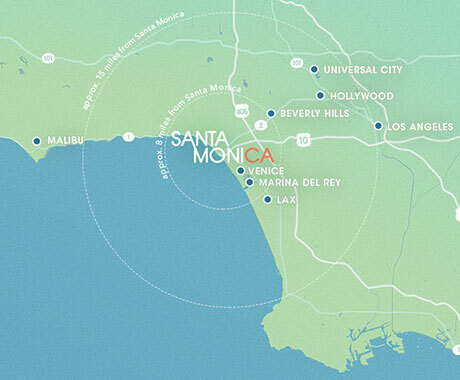 Located only eight non-freeway miles (13km) from Los Angeles International Airport (LAX) and with convenient access to neighboring areas of Los Angeles, Santa Monica is the natural choice for visitors of all types and ages. 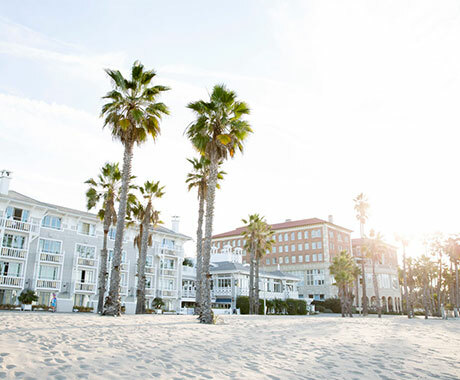 Perched on the Pacific Ocean and set along three and a half miles of glistening coastline, the beachfront city of Santa Monica presents endless opportunities for your clients to truly embrace the Santa Monica lifestyle and the wide array of oceanfront activities that come along with it. When paired with Santa Monica’s year-round mild, balmy climate and over 300 days of sunshine annually, it is no surprise that National Geographic listed Santa Monica as one of the “Top Ten Beach Cities in the World” and that such a place has some of the finest beach activities available to those who set foot on its shore. Explore Santa Monica through virtual reality. Santa Monica is an international culinary destination and remains in the top echelon of American dining thanks to its many celebrity chefs and the new culinary innovators who continue to invigorate the city’s dining scene. Santa Monica was on the vanguard of the local foods movement long before it became mainstream, and the use of sustainable, organic ingredients is central to the culinary approach of the leading chefs around town. Santa Monica’s blend of natural beauty, award-winning dining and incomparable hotel and shopping options create the perfect destination for groups to revel in the lap of luxury. Whether it is found luxuriating in one of the city’s premium hotel properties, hitting the links at one of the nearby golf courses, or spending a day being pampered at a lavish day spa, this iconic stretch of California shoreline is the ideal location for your attendees to experience the best of Southern California.